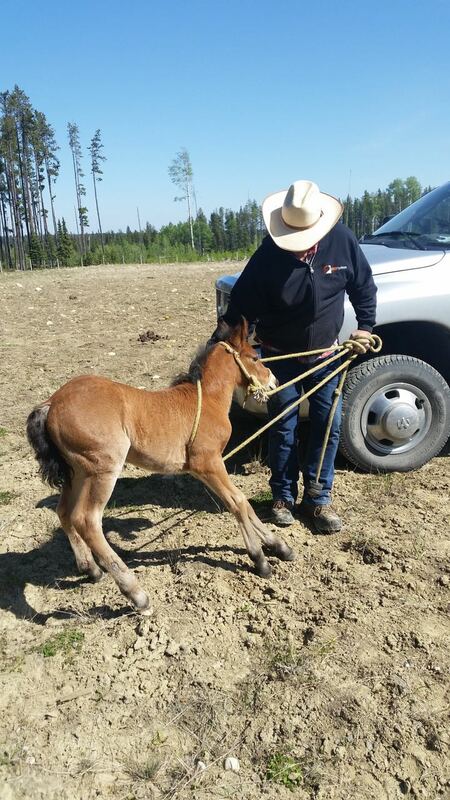 On Sunday, May 15th, WHOAS received several phone calls about a wild horse very young foal that was tangled up in some barbwire west of Sundre. In response to this urgent call several members quickly attended at the site to try to help the little fellow. Upon arrival they found the foal hanging upside down with both hind feet tangled tightly in the wire. They immediately put a shirt over his head to calm him down and then commenced to cut him loose. Using a soft cotton rope they configured a halter and come-along to get him over to the awaiting truck. It is important to note that the mare and her herd had been moved off by the stallion. In order to ensure the survival of his whole herd, this stallion would not allow the mare to remain or return. As unfortunate as it may seem, it is just nature’s way. Luckily, in this case, the foal was found and rescued, but one wonders how many other times this may happen and the ending is different. We do know there are a number of wolves and one black bear in this immediate area. 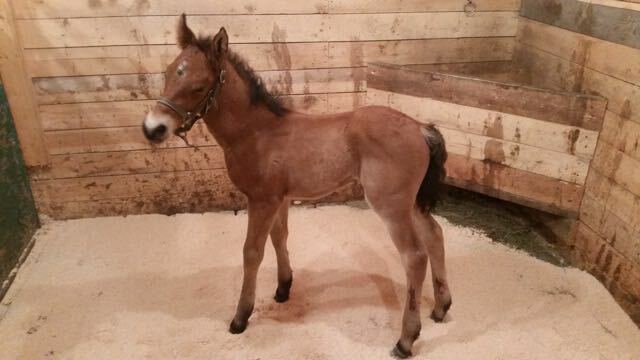 The foal would have not survived the night. It is a sad commentary that a lot of these abandoned well sites, as in this case, are surrounded by barbwire fences that have been allowed to fall into disrepair. This well site, owned by Apache oil, has been in this state at least for the last four years. Not only a danger to the wild horses, but also to the deer, elk and moose. There is no need to have these abandoned sites fenced in if there is no well head present. 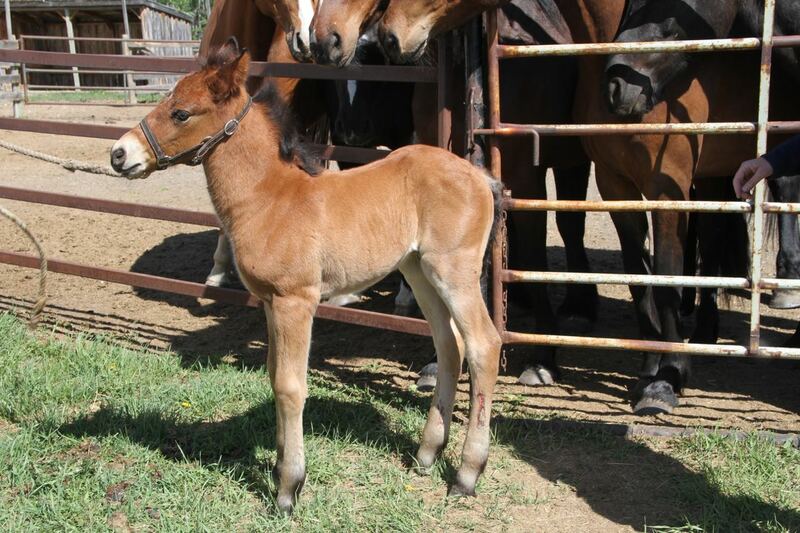 (AEP) to keep this foal and rehabilitate it for future adoption. 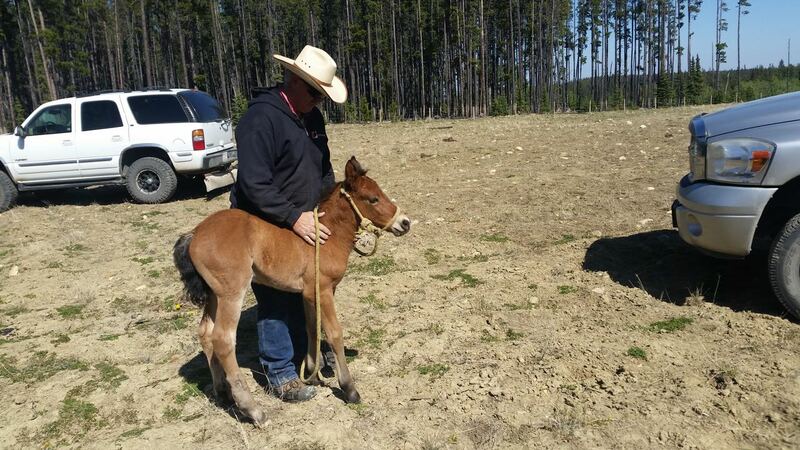 It was fortunate the little colt’s wounds were not that serious and his legs were okay. At his new digs, he was administered first aide and introduced to milk replacer, hay and water. Being a quick learner, by his second feeding, he was drinking his milk directly from a bucket and thoroughly enjoying it. The little boy did not even struggle that much when cold water was applied to his wounds to help reduce the swelling. It was extremely heartwarming to watch this little fellow meeting the resident group. The two big boys were so gentle nuzzling and mouthing this new little fellow seemingly to assure him it would be okay here. Well done folks! It’s a good day. Any word from Apache Oil on making this right? 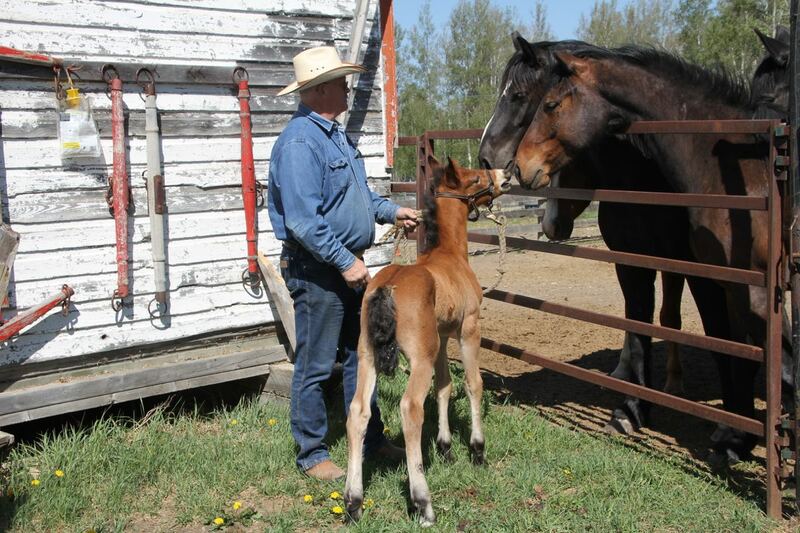 As one of the people who found the foal, I have contacted WHOAS since then and was just informed the following: “It is great that the oil company had a crew in there on Friday and the whole fence is (now) down including the posts.” If this is the case, then it was an even better ending than I had hoped for. The reclamation site was a disaster waiting to happen, and I am thankful that we happened upon the site that particular day. That is such a heartwarming story. Many thanks for caring. Aside from that, could you tell me how the 2 injured stallions fared that were on your page a few weeks ago. Thank you. I do appreciate all your groups does. Norma MacFarlane. Re. A helping Hand. A heartwarming story. Great work on the rescue. Congratulations.